Nintendo has revealed the top 30 most-downloaded Switch games in North America for October 2018. Mega Man 11 managed to chart at #6, just barely missing the top 5. Ahead of Mega Man 11 is Dark Souls: Remastered, The Legend of Zelda: Breath of the Wild, Overcooked 2, Super Mario Party, and Fortnite. As for how many people actually downloaded Mega Man 11 on Switch in the region, well, that's up for speculation. We don't have any numbers behind these rankings. Based on what we've been seeing across the board, though, I'd wager US Switch digital sales are within the 10,000-80,000 ballpark. Again, I should remind you that Mega Man 11 was more or less a smaller budget project for Capcom. Only their tent-pole releases are projected to sell millions of units (Resident Evil, Monster Hunter, etc.). The forecast for Mega Man 11 is more than likely far below that, seeing that the game was developed by a team of 40, among other factors. So yeah – I don't think there's really any cause for alarm here. The game is doing just fine. My only hope is Capcom will continue to promote it for many months to come. This isn't looking good sorry, sugar coat it all you want but these aren't encouraging pieces of data. A thing not to worry about wouldn't make someone feel the want to say things like "again I should remind you Mega Man 11 was more or less a smaller budget title" (well duh, it was a smaller priced product), "The forecast For Mega Man 11 is more than likely far below that" (of millions sold) "seeing that the game was developed by a team of 40" (as if units sold directly correlate to dev costs or that lower budget directly equates to less popularity or as if a team of 40 isn't a substantial amount). You're an idiot. If anything the game is doing as well as a large majority of Mega Man games. The expectation being set by some fan circles is that, in order for the game to succeed, it has to sell MILLIONS of copies. I'm simply pointing out that the game doesn't have to achieve that. Compared to the number of staff working on tent-pole releases (hundreds), a team of 40 certainly correlates with the game's budget. Don't you know!? The game failed because of two articles that mentioned some sales numbers for one system, with out any knowledge of the budget, overall sales, costs or goals! Who cares whether or not Capcom is happy with it or not. Who cares if it's a step at repairing years of neglect and fan distrust, in and of itself a worthy marketing endeavor. Who cares the game got good reviews. None of these things matter cause the game failed. "You're an idiot. 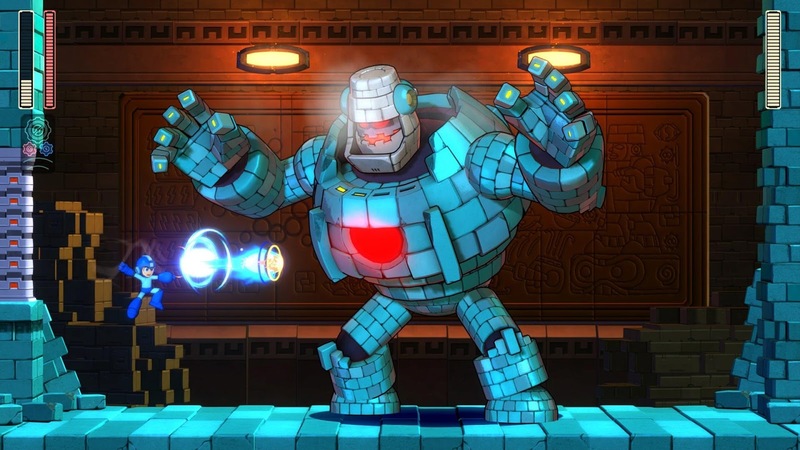 If anything the game is doing as well as a large majority of Mega Man games." Well that's not worth any sort of genuine reasonable response. But, why not? I will say this, provide the evidence that the majority of Mega Man games sell an average in their first month instead of just stating it. I will wait. Also this goes without saying but doing as well as a large majority of Mega Man games isn't automatically a highlight in its own right, you'd also have to completely disregard any kind of context to take that as a credible counterargument at face value. @Protodude: I understand that, but that is one extreme, it's not like there is either selling multiple millions of units or selling between 10-80 thousand. It is reasonable to expect an absolute icon of the industry to produce a good quality relatively low cost to purchase game after a hiatus and net a couple hundred thousand units in a game's typically most lucrative selling period. That's too much to ask huh? A couple hundred thousand... Fair enough. But I will say in my opinion that doesn't sound promising *hands up* just saying my opinion that's all and I usually trust my gut (its led me rightly before). "a team of 40 certainly correlates with the game's budget." No doubt but I find that a non sequitur. I'm saying the budget and staff size of a game doesn't directly correlate to its popularity not that low staff doesn't correlates to low budget. I know this is an outlier of sorts but I'm just using the extreme example to make my point (because many indie games obviously became immensely popular Dead Cells, Hollow Knight, Stardew Valley to name a few) but Undertale was developed by one person over the span of under 3 years. I am not comparing Mega Man to Undertale I am just saying, just because something had a certain budget to make it that doesn't mean it has or should be expected to have a pre designated popularity bracket purely based on that. At least I see no evidence for this. I'm not saying over expect either I don't want that to be what people take from me writing this. And if you want weekly, Google a recent Mega Man game with "media create sales." I don't know what I'm looking at (I think it's Famitsu data for Japanese sells) but that google data site shows me two things 1. Mega Man games generally range across the board and the averages that I could compile are nothing to be proud of and are largely aggregates of compilations with barely any raw classic entries to tally, which change the dynamics. I don't know the time periods directly maybe weekly FW (first week) and yearly (clarify if you can) but I think it already gives me weekly sells, you probably meant monthly for media creates which I frequent already and they primarily deal with weeklies. I will not be tediously gathering data for all the weekly releases on media creates however I will assume it would generally look similarly to the weekly and lifetime sales presented on the link you've provided (assuming), which is, ranging broadly with the most common being a low thousands average. I'm not even going to get into context though, too much to go through. As for people saying the game failed or not failed because of goals and budget and what not. You are short sighted, I fully believe Mega Man 11 could recoup its dev costs and accomplish satisfying investors. That is not the point, I will not sit here explaining over and over why getting by with the bare minimum makes it easy competition even within the company that made it but it is what it is. Your sales data is physical sales from japan only. alienating US, EU and rest of the world also no indication of digital sell through. on top of that your bringing physical japan sales figures to a US eshop article. its not short sighted to have all the data before declaring anything.